"Reconstructions is a wondrous outburst. 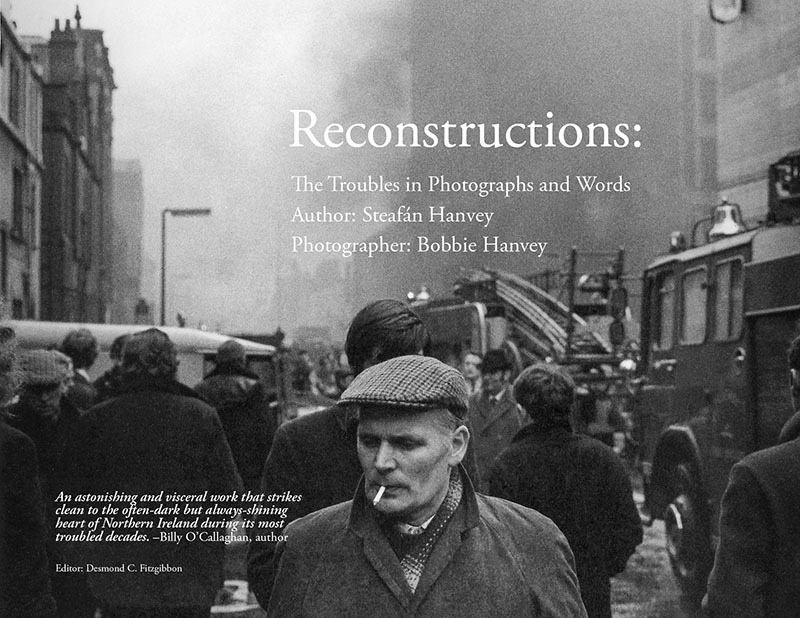 Steafán Hanvey’s poems are an unrestrained response to the work of his father, the great Irish photographer Bobbie Hanvey. [The poems] are bold improvisations..nobly dishevelled, and they cry out to be read." "This unique and heady blend of documented violence and photographic memory poses timely questions for present social understanding of the way we were." "Authentic, innovate and keenly-honed prose poetry.. An astonishing and visceral work... Reconstructions is a celebration of life and a validation of two lives' work." "Prose-poems of poignancy and power..
A stunning symbiosis of word and image."